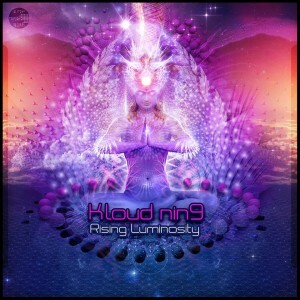 Rising Luminosity represents the ambitions of Kloud Nin9, a female producer and DJ blazing her way through the dark progressive psytrance underground. Streaming in from the brightest part of her heart, these lush atmospheres and compelling bass grooves will harmoniously expand the space inside of you and outwards, embracing a sense of freedom. Mastering by Anti-Logic, Berlin, with artwork by Clint Grierson. MP3 Download | FLAC Download | WAV Download · Download count: 8,682. Very good grooves in this one .. thank you ! Beautiful, spiritual and groovy, thank you so much!